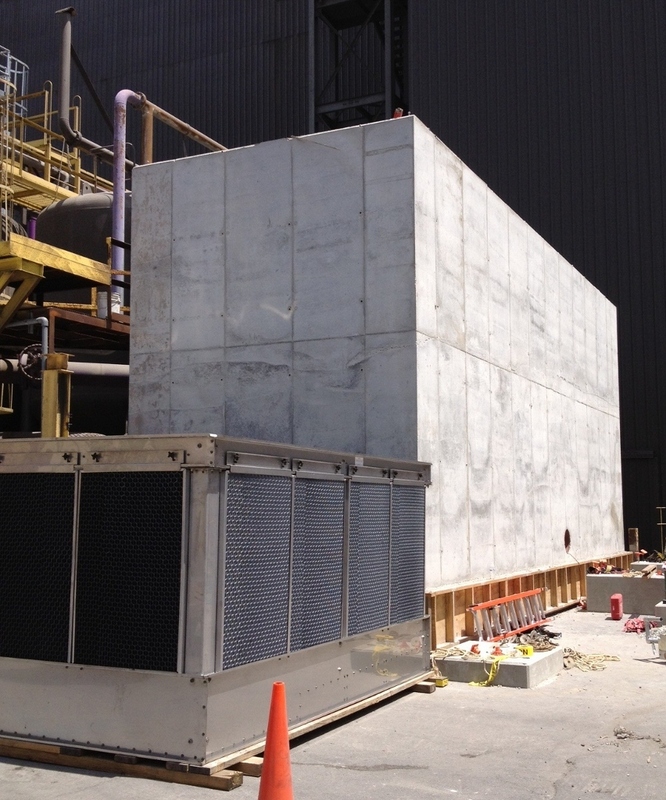 Cooling Tower E-1 Installation | JSR, Inc.
JSR removed the existing cooling tower and piping and constructed a 20 cyds concrete slab-on-grade, a 16 ft tall, 60 cyds water basin, and miscellaneous pump and equipment foundations. 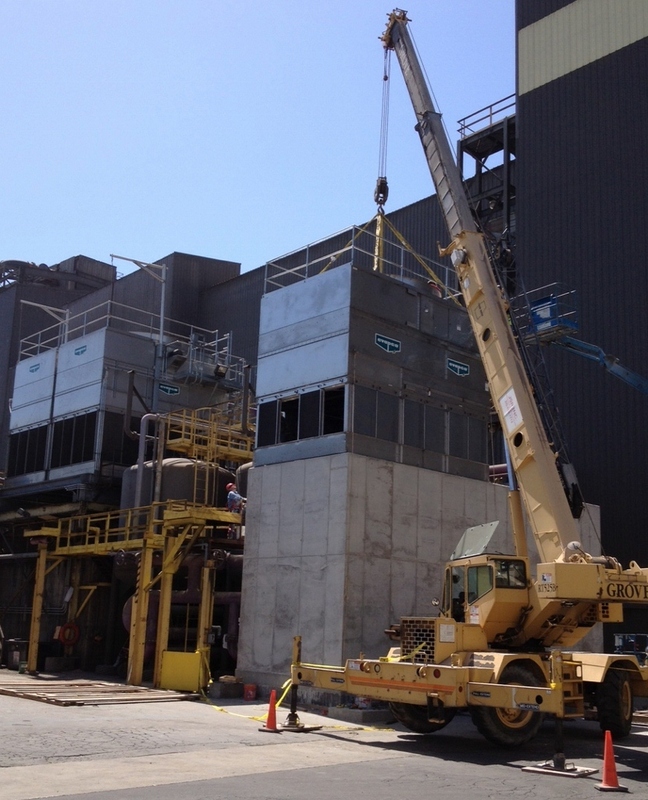 Access platforms, ladders, and stairs were fabricated and installed along with the on-site assembly of the new cooling tower and placement upon the access platforms. 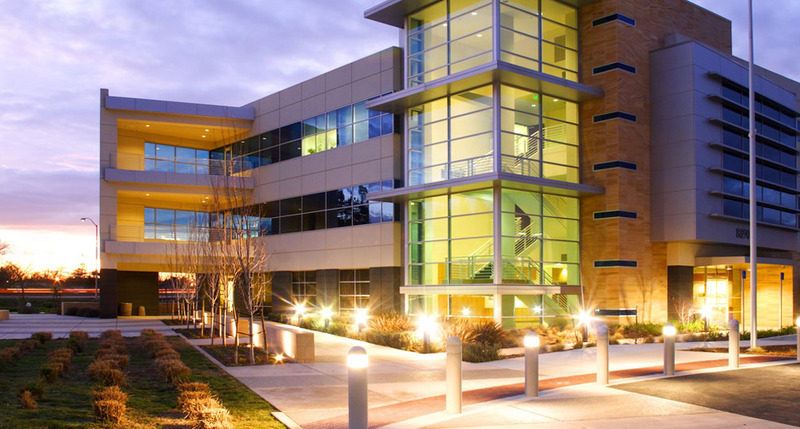 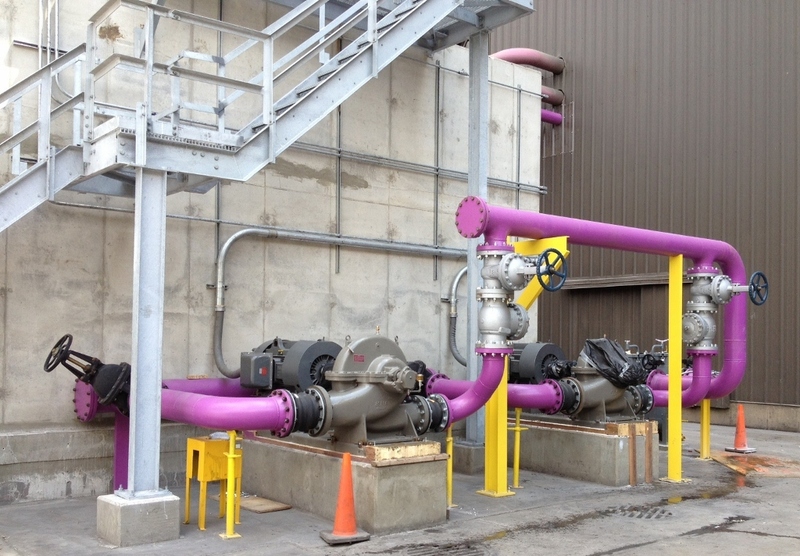 JSR also fabricated and installed over 400 ft of piping ranging from 3 inch to 12 inch diameters. 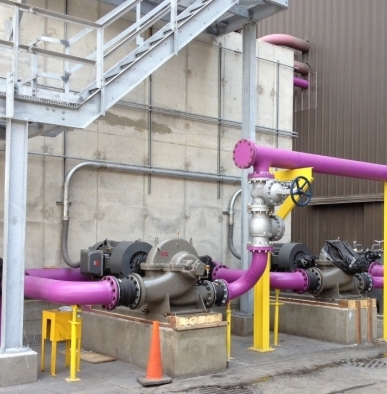 JSR also coordinated with the owner to run pipe through the operating plant.